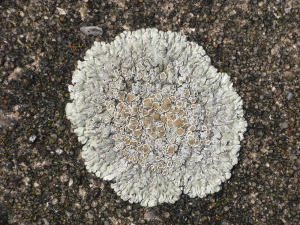 Observation - Chewing gum lichen - UK and Ireland. Description: On a concrete bridge parapet by a canal. On a concrete bridge parapet by a canal.